We are excited to share a picture of our accomplishment on Saturday, June 16, 2013. 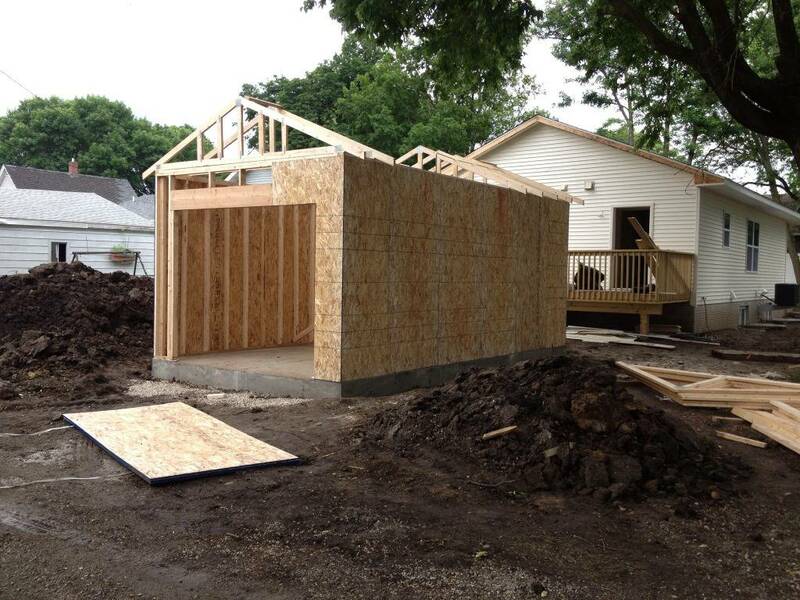 We completed the wall framing and got a start on the roof. The Tuesday group will pick up where we left off. We can expect to work on garages for the remainder of the year. They are planning to build one garage per month through October. Habitat would like the St Pius groups to do all the work, and believes we can build a garage in 2 days. We are up to the challenge.